Platoon of 4 Plasma Grav Tanks suitable for 15mm. 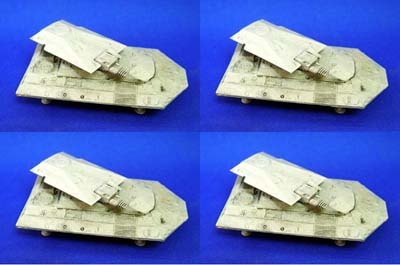 Set features 4 resin hulls, 4 metal turrets and 4 main guns. Now in resin!